Want to find a store near you? Interested in receiving our newsletter? Search the site anytime just by typing! April showers bring more than May flowers! Stuck inside on a rainy day? Forget snuggling up with a good book…break out the colored pencils and markers! (No, not for your kids) We have a fun rainy day activity just for you! 3. Let your creative side free and color your heart out! 4. 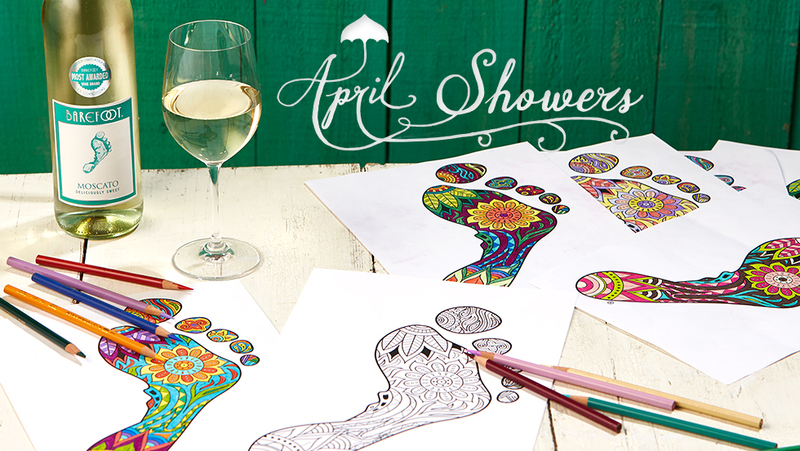 Hang up your creation and unwine with a glass of Barefoot Chardonnay or Barefoot Malbec! We are so excited to share this absolutely delectable recipe with you today! How is Barefoot wine made? #BareYourSole and Be Happy in 2017! Our days of summer may be dwindling, but these Barefoot Moscato Strawberry Popsicles will help us go out with a bang. Rich, buttery shortbread. Tiny jammy windowpanes. Crispy twinkling sugar cookies.